Farmington River dry fly angler extraordinaire Don Butler likes to say, “Ants is good food.” He’ll get no argument from me – or the trout. As we move into deeper into summer, terrestrials — ants, beetles, hoppers, crickets, and even field mice — become a significant food source for opportunistic feeders. 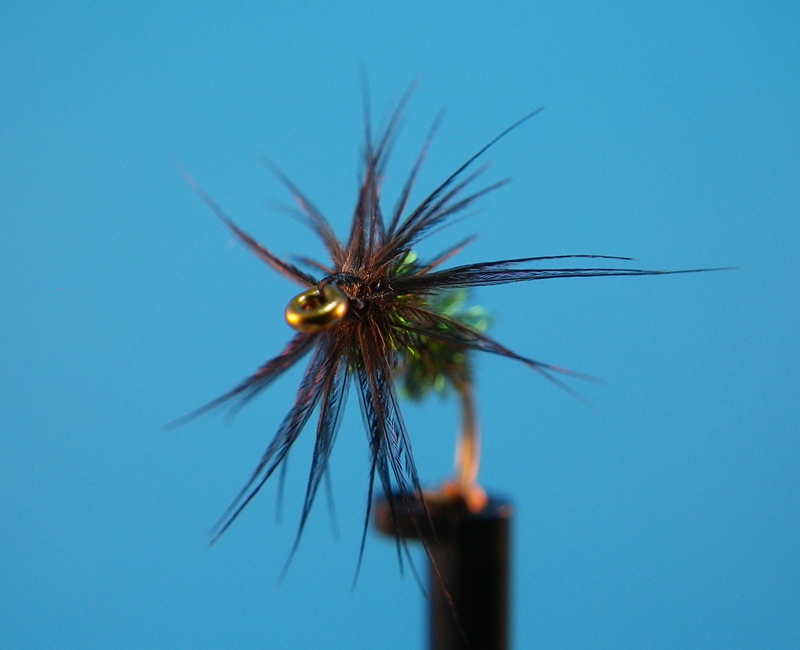 This fly is a variation of the classic soft-hackle Starling and Herl. All I’ve done is add a few wraps of thread to form an ant-like body segment. You can also treat this fly with Frog’s Fanny and fish it like a dry. 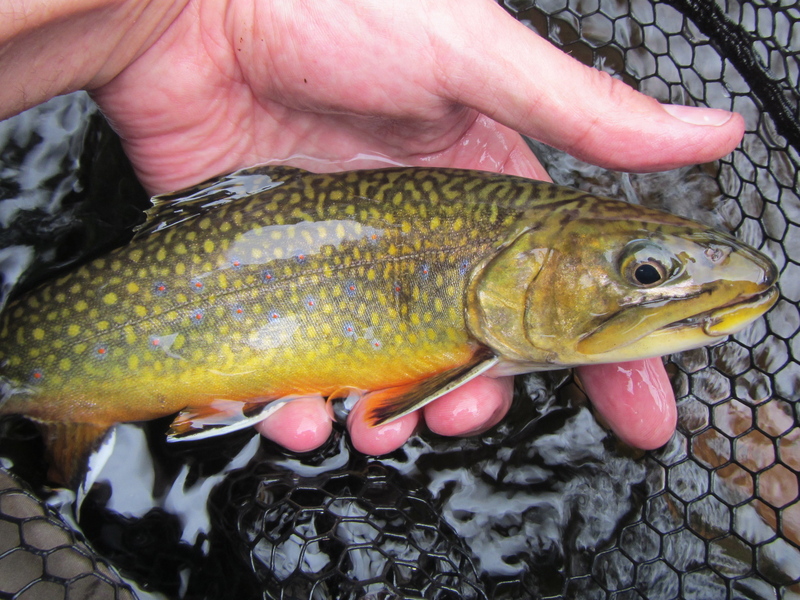 A lethal summertime wet, especially on small wooded streams with wild trout populations. I also do very well with this fly on the Farmington River. Now, I’ve never seen an ant tread water in a three-knot current, but I get plenty of trout fishing the Drowned Ant on the dangle. This pattern is so impressionistic it could easily double for any number of darker bodied caddis or stoneflies. 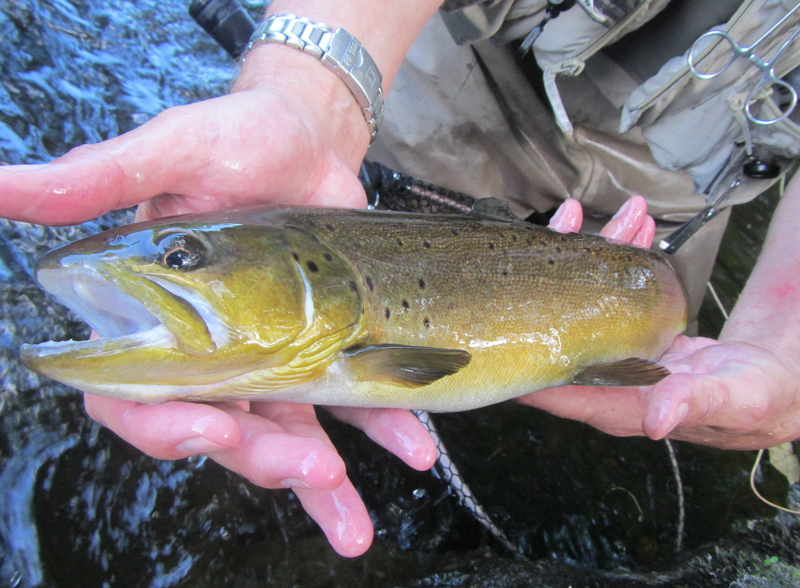 Only trout know what they think it is, and at the very least, it’s that it looks like something alive and good to eat. I almost always have this fly tied on my wet fly dropper rig from June through September. A head-on view. Starling is a fragile hackling material, but it does wonderful things in the water. Tying notes: For a more durable fly, make a rope of herl and thread before you wind the body. I tie this on a fine wire hook, and fish it as the top or middle fly in a three-fly team. When I was working this pattern out in my head, I considered using a more solid material for the body, like wool, working thread, or floss. But there is something about peacock herl and its mystical ability to attract fish that enchanted me. Besides, peacock herl is a traditional material, and seemed a proper nod to the heritage of wet fly tying. There are all kinds of feathers on a starling. Look for those iridescent purplish ones to add another subtle splash of magic to this terrific little fish-catcher. This entry was posted in Wet Flies and tagged Drowned Ant, Farmington River, fly tying, soft-hackle, Steve Culton, terrestrial pattern, Wet fly. Love the design. I agree about the materials. Great job Steve! My pleasure. There’s a little magic in peacock herl and starling.